LONDON (Reuters) - Britain has failed to secure improvements to its proposed future trading relations in financial services with the European Union after Brexit, according to a draft document, disappointing some executives who expected concessions. The three paragraphs on future relations in financial services, one of its most important export sectors, are little changed from an initial draft released last week, the document seen by Reuters showed. As long indicated by the EU, Britain, Europe's biggest financial centre, is offered EU market access based on the bloc's "equivalence" system, which is used by non-EU states like the United States, Japan and Singapore. Access is granted by Brussels if a foreign bank's home rules remain closely aligned with those in the bloc. Britain has said that equivalence is too patchy and unpredictable compared with the current unfettered EU "passporting" of all cross-border financial activities. It proposed an "enhanced" or more accommodative version of equivalence, but the latest draft only says that both sides will keep their respective equivalence frameworks "under review". Equivalence does not cover basic banking like lending, or swathes of insurance activities, and it can be withdrawn by Brussels at a month's notice. Prime Minister Theresa May told parliament the agreement would mean that financial services market access to the EU cannot be withdrawn at a whim. John McFarlane, chair of TheCityUK, a financial sector lobby that has called for enhanced equivalence, said Britain was always unlikely to get a deal outside equivalence. "What we'd really like to see [in the final trade deal] is a situation that allows wholesale and fund management that can be cross border," McFarlane, who also chairs Barclays, told Reuters. This was possible under existing equivalence rules, but it carried some risk, McFarlane said. The EU has begun to toughen up equivalence conditions, given that a global financial centre will now be on its doorstep to compete with Frankfurt, Paris and Amsterdam. Thursday's document, a non-binding declaration of intent on future UK-EU trading relations, reiterates that Britain and the EU would "endeavour" to conclude equivalence assessments before the end of June 2020. The anticipated "standstill" transition period from Brexit next March to end 2020 would be followed by the future trading terms. "From the European side, that gives them two years to decide what equivalence looks like and it will be quite different from what's in the existing directives. They will chip away at the concept," said Simon Gleeson, a lawyer at Clifford Chance who advises banks. "The revision of the EU's derivatives rules will be the model for equivalence going forward – you get a licence in return for following the rules and undergoing inspections." In return for being allowed to clear derivatives trades for EU customers after Brexit, Britain will have to allow EU regulators to supervise the inner workings of the London Stock Exchange's LCH clearing house. Faced with only basic EU access, banks, insurers and asset management firms are opening hubs in the bloc by next March, and Ireland's central bank said on Thursday it was still receiving licence applications. European government bond and repurchase agreement trading is moving to Amsterdam. 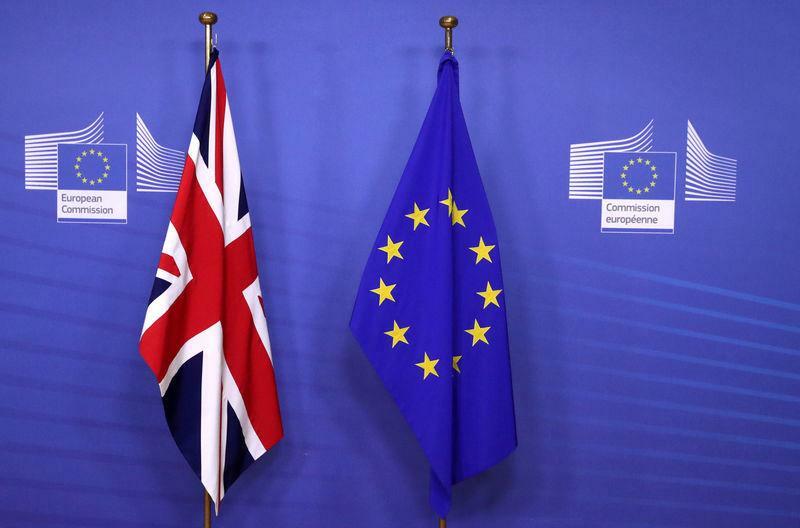 EU leaders aim to endorse Britain's divorce settlement and declaration on future relations on Sunday. This could pave the way for EU and UK regulators to sign memorandums of understanding to cooperate on cross-border supervision and data flows, and allow asset managers in Britain to continue running funds listed in the EU.